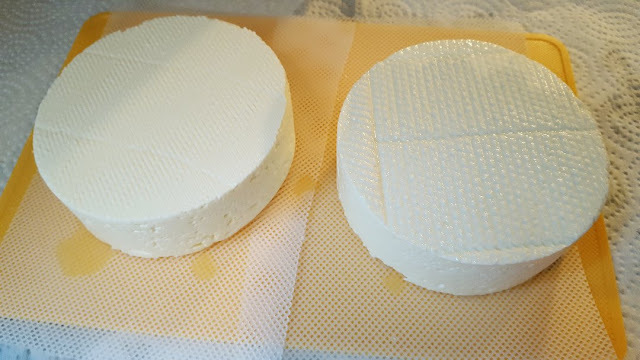 This week I tried my very first bloomy white cheese, a Camembert! 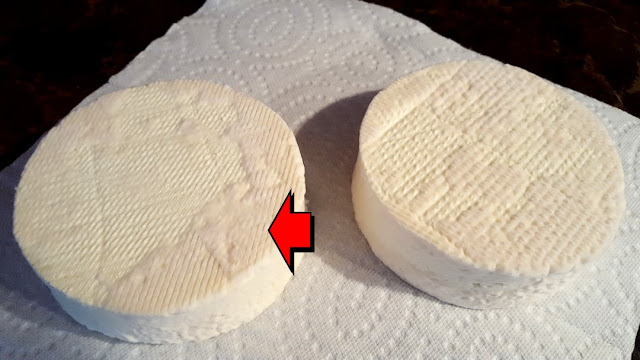 In the photo I added an arrow to show you that as of yesterday, that bloomy white mold is slowly and gradually forming, which makes me very happy! I love how a pot of milk with some cultures and additives can turn into any kind of cheese imaginable! This cheese smelled SO GOOD as I was making it, likely due to all the different bacteria that was added. 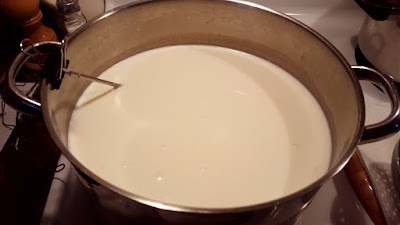 You want a nice creamy gooey cheese as your result so as you stir, you have to pretend that you are trying not to break bubbles...that gently! 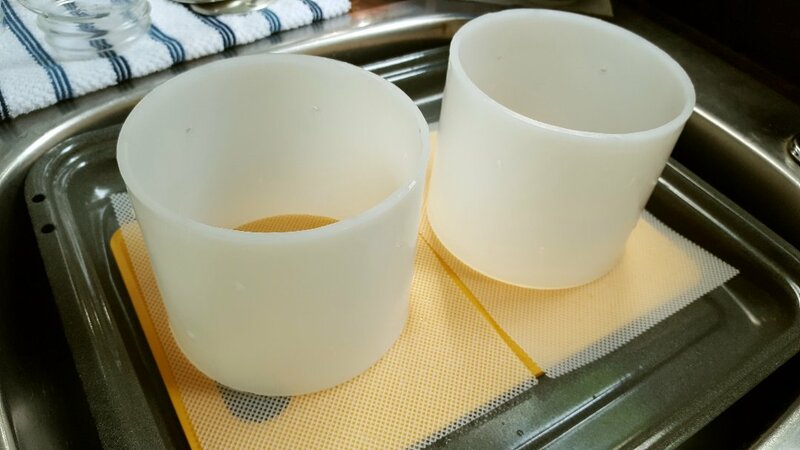 Usually I stir the cheese quite a bit to release the whey, which creates a drier cheese. 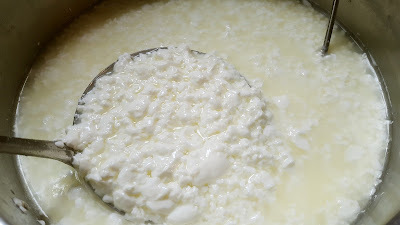 But in this case, I wanted the whey to stick around for as long as possible to keep the curds nice and saturated. These are the molds. They are called Camembert/Brie Hoops. They have no tops or bottoms and are perforated on all sides to help the whey gently release over time. I bought some "cheese mats" too. Those are the plastic mats under the hoops. They are very sturdy and act as a colander. You don't need them to start, but I have to say it's a treat to have the proper equipment! 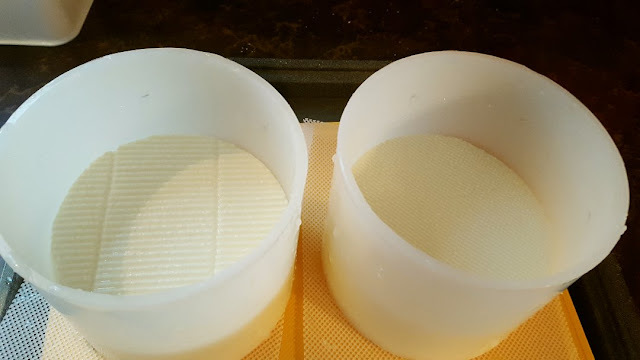 All of the curds and whey are gently ladled into the hoops. 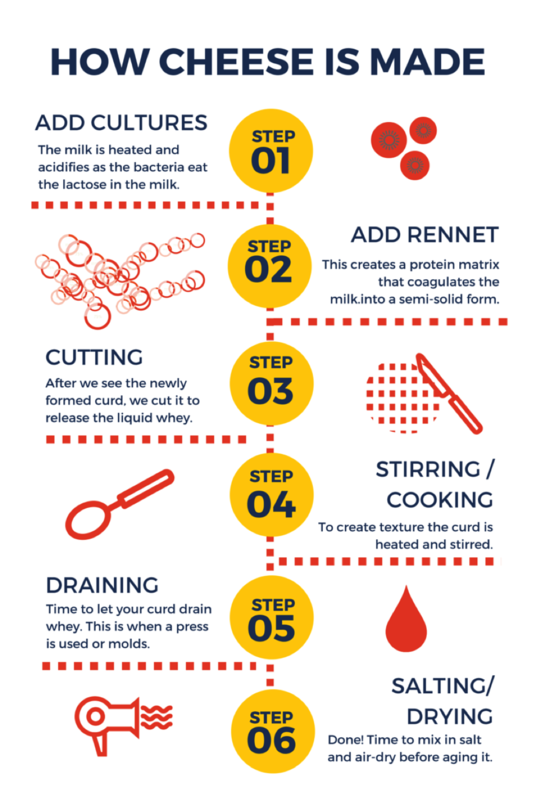 It takes a while because you have to wait for some whey to drain to add more. This process took me about a half an hour to fill the two hoops. 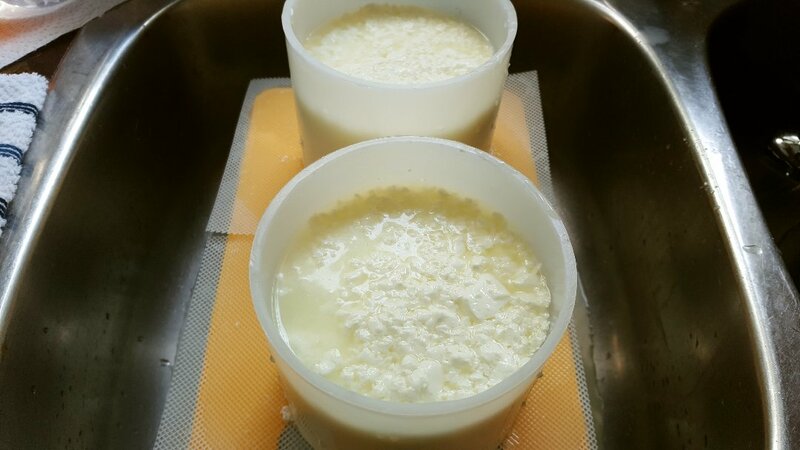 After a good full 24 hours of draining and flipping at room temperature, the cheese starts to form pretty well! 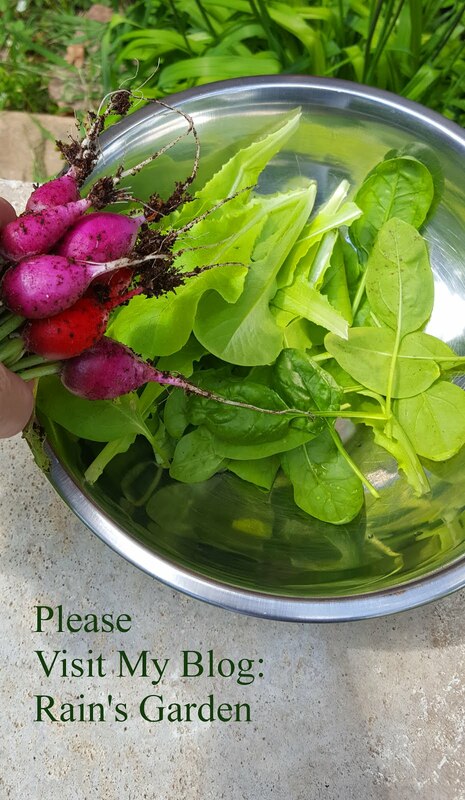 I was able to take them out of the hoops after about 30 hours total and now they are in the ripening box forming more bloomy white. I'll do some updates over the next six to eight weeks as they progress and I'm really hoping that they are nice and creamy inside when it's time to cut them open! 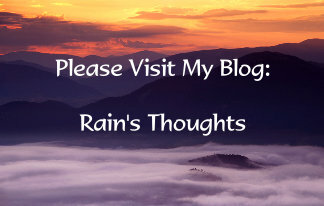 Beautiful, Rain! I want to lick my computer screen to try and taste your beautiful cheeses! LOL Fundy Blue! I'm sure the computer screen doesn't do justice to the real taste, ha ha! I love camembert, this was maybe the first non cheddar cheese I discovered as a child. Hi Guillaume :) It is a wonderful cheese. I always tended towards Brie, but Camembert is so delicious and I'm glad I am trying to make it!